The UC Merced Library and Arts UC Merced Presents are excited to announce the opening of the 2018 Bobcat Art Show: “A Wall Is a Wall.” Please join us for a reception on Friday, April 6 from 3:30-5:30pm in the UC Merced Library, KL 280. During opening week (April 2-6), students, staff, and faculty will be invited to vote in the “People’s Choice Award” via the Arts UC Merced Presents Facebook page. Winners will be announced at the reception on Friday, April 6 and on the Arts UC Merced Presents Facebook page. 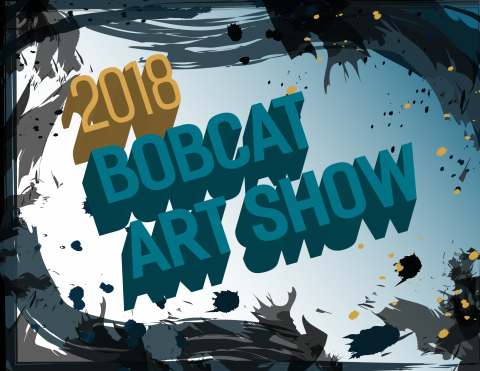 The 2018 Bobcat Art Show is inspired by the 2017 song lyric “a wall is a wall” (Downtown Boys, “A Wall,” Cost of Living (Sub Pop, 2017); we invited participants to respond to, engage, or reflect on this theme. A physical wall may define space while a psychological wall might present a barrier or obstacle—something to break through. Walls are used as tools of oppression, for defense, or to hold back pressure. An empty wall in a gallery, city, or library offers up a place of possibility for the creation of art. Metaphorical walls ask us to think about inside and outside, boundaries and borders—whether actual or imagined. The theme is meant to be read and interpreted broadly: From wallpaper to Wall Street; from the Berlin Wall to the Great Wall of China; from seawalls to prison walls; Facebook walls to internet firewalls; from backed against a wall to “another brick in the wall”; from climbing walls to wallflowers—or The Wallflowers for that matter! Drive us up the wall or go off the wall.